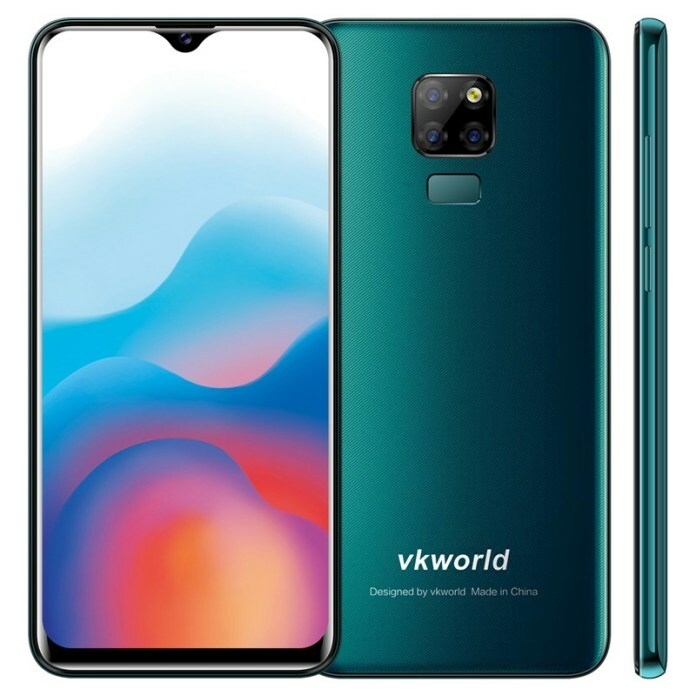 The VKword SD200 is the successor of the Vkworld SD100 smartphone. The handset took inspiration from the Huawei Mate 20 that was launched last year. Apart from that, it comes with a waterdrop notch offering a rear-mounted fingerprint sensor and a generous inbuilt memory. Below are the phone full specifications and the price. For the first time, the Vkworld had decided the thread the part of Huawei. 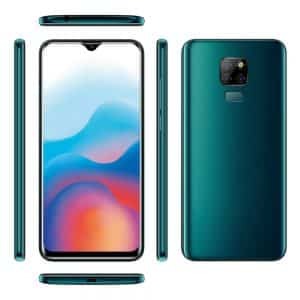 They took the exact body design of the Mate 20 panel that house triple rear cameras in a square. The phone is still a budget device that is built with metal glass. It’s available in Green and Blue colors. On the front, it has a waterdrop notch that offers a large screen size of 6.3 inches under IPS In-Cell Touch screen. It has a screen resolution of 1560 x 720 Pixels with 275 PPI density. The 2.5D curved glass has display protection and it will deliver clear visuals as well. The triple square camera on the back is just for fancy and gimmick. It’s only one that function and it features 13 Megapixels paired with dual LED flash. The main camera also has some internal features that will increase the brightness of the photos. It can also shoot 1080p@30fps, 720p@30fps video resolution. On the front, the phone has a front facing camera of 8 Megapixel which will also serve as video calls. Powering the phone is mid-range hardware. The MediaTek Helio A22 SoC is built with 28nm LP process technology which is for average performance. The chipset has a quad-core processor that clocked at 2.0GHz with PowerVR GE8300 for graphics related issues. On the memory, the Vkworld SD200 is available in two variant. The first has 2GB RAM with an internal memory of 16GB while the bigger variant has 3GB RAM with an inbuilt storage of 32GB. Both are expandable up to 256GB via micro SD card. The phone has a rear-mounted fingerprint sensor with Proximity Sensor, Accelerometer, Ambient Light, Compass and Gyroscope. It has dual SIMs support with 2G, 3G and unlike the SD100, it also has support for 4G LTE network. The wireless connection includes Wi-Fi 802.11 b/g/n, 802.11n 5GHz, Dual band, Wi-Fi Hotspot, Wi-Fi Direct. It also has Type-C USB v2.0 With OTG for files transfer and charging of the phone, while the GPS, A-GPS, GLONASS is for navigation. The Vkworld SD200 has a nonremovable battery capacity of 3200 mAh with fast charging technology. The phone will sell at a price of $129 depending on the model and your location.